Dmae Roberts talks about Miracle’s World Premiere of Raiz with Olga Sanchez and actress Maria Sanchez. 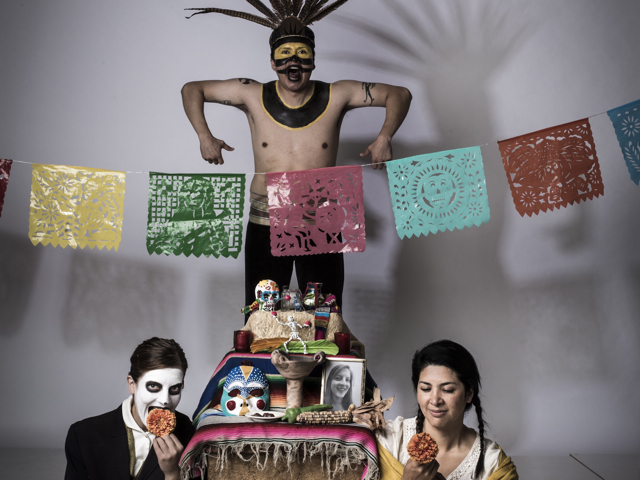 Portland’s long-running Dia de los muertos celebration features a world premiere play about a cabal of Aztec gods, a young clown and his partner. 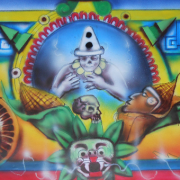 With music and dance, the play goes back in time and interweaves the roots of pre-Hispanic history and traditions with musings on life and death. We’ll also get highlights of the new Miracle Theatre season. 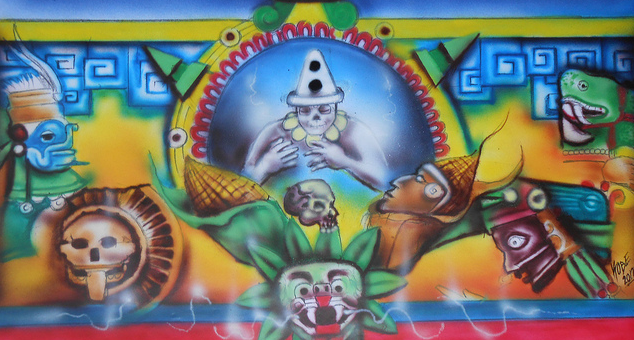 RAÍZ – A Celebration of the Day of the Dead is directed by Arturo Martinini. Performances run Oct. 19-Nov. 11, 2012 Thursday, Oct. 18, 7:30 p.m., Preview, Friday, Oct. 19, 8 p.m., Opening Night with complimentary reception catered by La Bonita restaurant. Showtimes are Thursdays at 7:30 p.m. Fridays and Saturdays at 8 p.m. Sundays at 2 p.m. All shows are atMilagro Theatre, 525 SE Stark Street, Portland, Oregon 97214. Then at 11:30am we’ll hear from Bill Rauch, artistic director of the Oregon Shakespeare Festival. We’ll hear about the 2013 opening weekend. 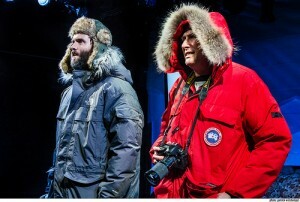 Dmae talked with Rauch in Portland when he was here to direct the world premiere of The Body Of An American by award-winning playwright Dan O’Brien at Portland Center Stage. When O’Brien was moved to contact war photographer Paul Watson about his book Where War Lives, the two began a correspondence eventually leading to a dramatic meeting in the Canadian Arctic. Hear this amazing story of a friendship and the war experiences that haunted them. Portland Center Stage’s world premiere production of The Body of an American by Dan O’Brien runs Tuesday through Sunday through November 11, 2012. Tickets start at $39, with discounts available for students and those under 25. Rush tickets are $20. In his first production at PCS, Oregon Shakespeare Festival Artistic Director Bill Rauch is directing this riveting world premiere. Show times are 7:30 p.m. Tuesday through Sunday, with 2 p.m. matinees on Sundays and select Saturdays and matinees at noon on Thursdays. See the show calendar at www.pcs.org/body for the complete performance schedule. Tickets can be purchased online at www.pcs.org, by phone at 503.445.3700 or by visiting the box office located at 128 NW Eleventh Avenue. 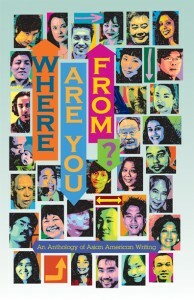 Byron Wong of the Thymos organization of Oregon will tell us about their new anthology Where Are You From? : An Anthology of Asian American Writing. 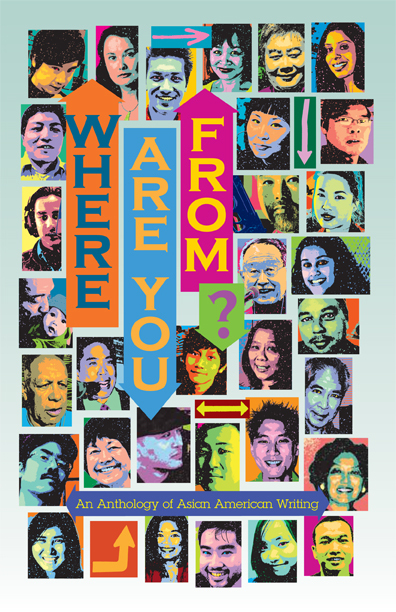 Co-edited by Valerie Katagiri and Larry Yu, Where Are You From? is a collection of personal essays, fiction, poetry, and visual arts created by established artists and emerging voices in the Asian American community. Inspired by the all-too-common question asked of Asian Americans from “fresh off the boat” immigrants to multigenerational native born citizens, Where Are You From? explores the diverse geographies of Asian American experience from the personal to the political and all points between. Contributors include former Oregon Poet Laureate Lawson Inada; writings by documentary filmmaker Curtis Choy and popular authors Andrew Lam and Matthew Salesses; a critical look at the suicide of Iris Chang by Professor Darrell Hamamoto; an interview with Iris Chang’s mother, Ying-Ying Chang; poems and stories by Hawaiian “Pidgin Guerrilla” Lee Tonouchi; Dmae Roberts’ personal reflections about her brother and hoarding; Nicholas Hartlep’s autobiographical essay about his experiences as a transracial adoptee in the US; Roberta May Wong’s provocative art installations about identity and belonging; companion essays by Simon Tam and Ben Efsanem debating the politics of “reclaiming” racist epithets. Where Are You From? : An Anthology of Asian American Writing! RSVP to Byron Wong (naru_hodo@yahoo.com) by October 19, 2012. For questions and other information, contact: Thymosbook@gmail.com. Or visit at http://thymos.org. Where Are You From? is available for purchase from Amazon.com as either an eBook ($9.99) or in paperback ($16).